So.. here is part two of my trip to Athens. It already feels sooo long ago, The second semester of school has started again and with that the weekly structure is back.. not sure whether I like the structure; doing the same thing every day/week. But this post about my last travel helps breaking the structure, a little then at least, in it's own way. It's like a dream back in time. These are the last photographs (sorted out) of our three days in Greece plus some of the first day I forgot about for the last post. Pff, I don't know that well what else to say about the city, or about these photographs.. 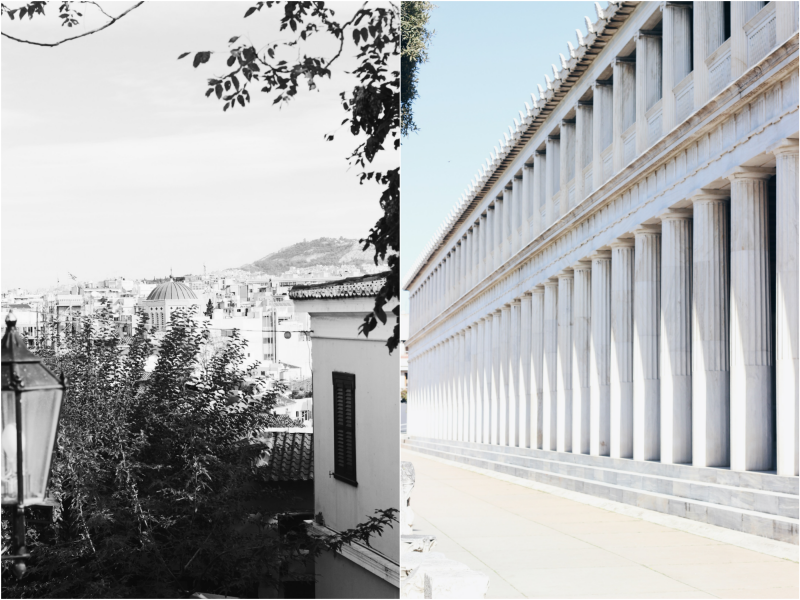 I just like to make them match and put them together, to make this post a pretty diary to remember the trip to Athens, and to love it for now. Well a little bit (in short) about these photographs. 1. All the streets were so lovely, the architecture in other countries always seems so much prettier 2. 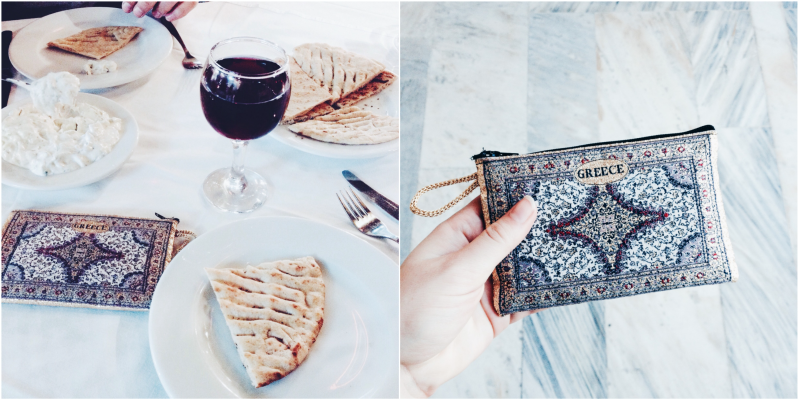 First dinner with great pita and wine + the first oh so lovely little wallet I bought that print is the best 3. 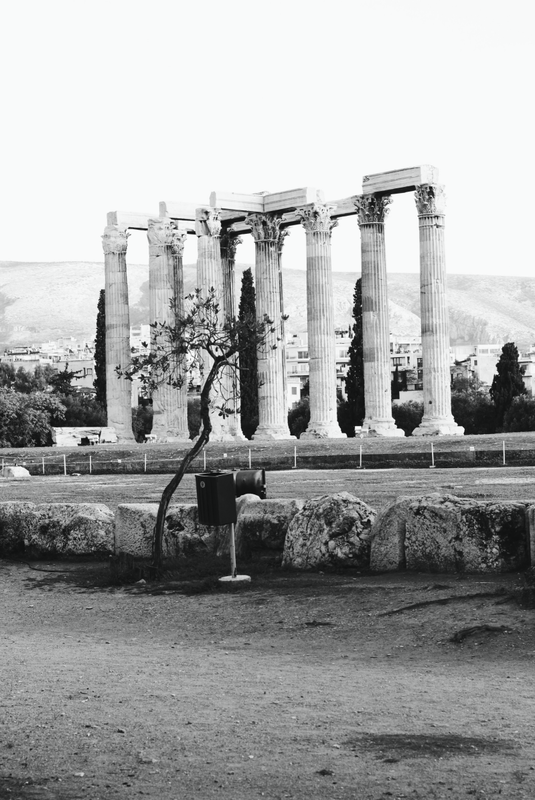 The Temple of Olympian Zeus, which was immensely big and high 4. Pretty views and more of those columns 5. 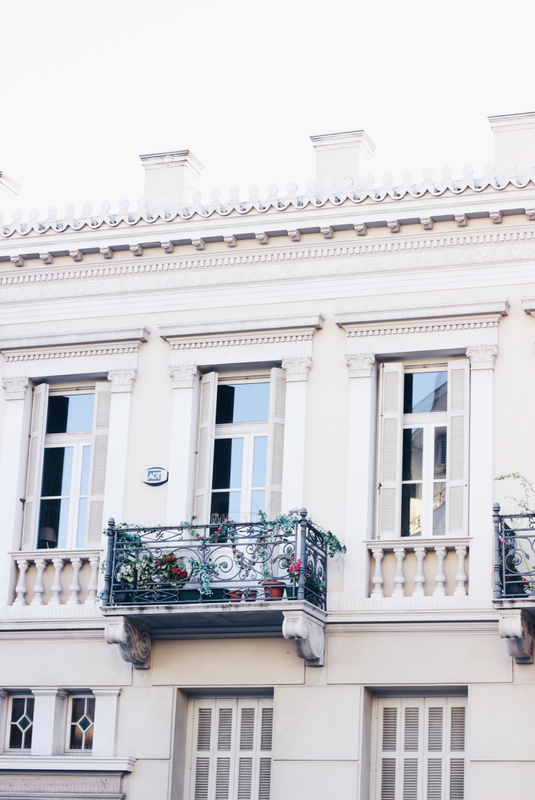 More lovely architecture, Athens has the most amazing balcony's 6. The last day we went to the Olympic Stadium, another immensly big architecture. Those endlessly high marble stairs were such a beautiful thing to see, it was such a good place to make some photographs! These two are only a few of the ones taken there. Soon there will be another (outfit) post of when in the Olympic Stadium. I'm so happy we went to see this place. 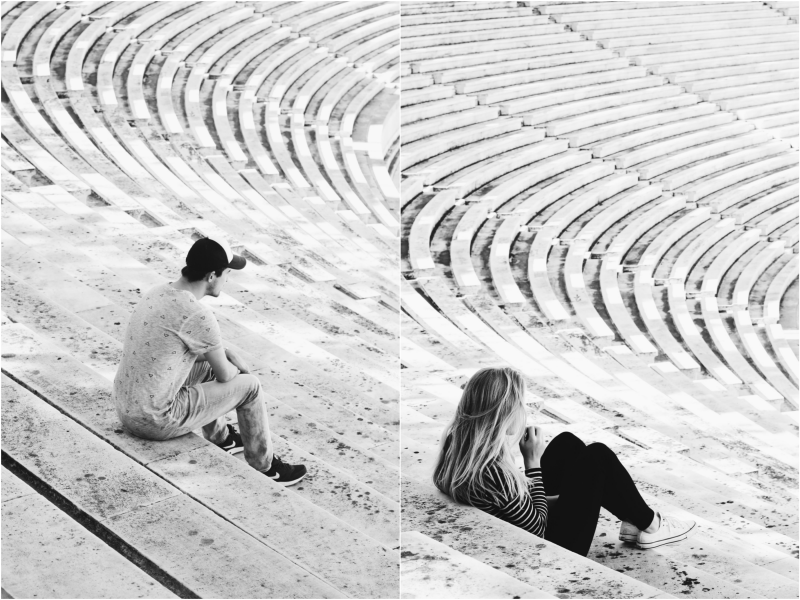 How about these photos from Athens? 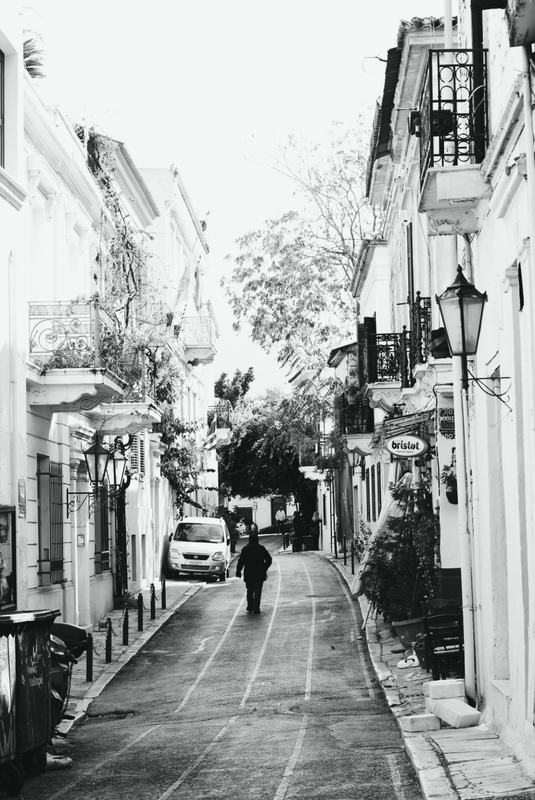 Have you traveled recently? ooh wauw wat is het daar mooi! 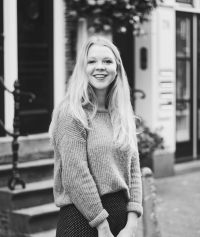 Wauwie, het lijkt mij zo mooi daar!